At work we’ve been having a little bit of trouble verifying that a Workflow Service still “works” after we change something. This is because our custom activities are in a separate assembly. 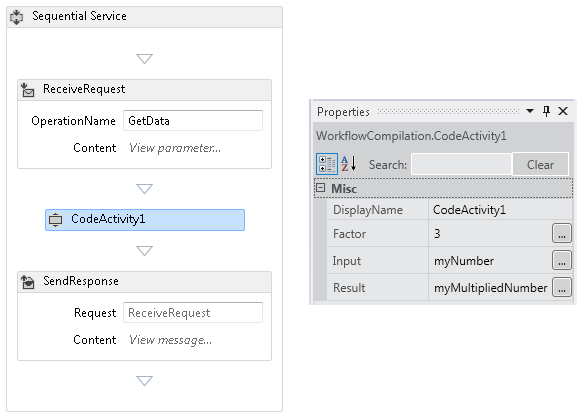 When we change the activities and run MSBuild, we’ll notice that the unit tests still work and that the workflow still compiles. Only after we deploy the service and try to hit it, do we see errors that indicate that the workflow can not be instantiated, for instance because we removed a parameter from an activity. We need some kind of regression testing to prevent this. To solve this, we now instantiate the workflow in a Unit Test as I will describe in this post.